Most Colorado residents will tell you that they have been skiing or snowboarding at least once in their life. You would think it was common sense to not cross your skis and to fall up the mountain rather than down it when you feel you are going to wipe out. This is a vital instruction for people new to skiing. Even the most planned day of skiing can go horribly wrong. One person in every group is bound to have a bad day. It is not for everyone though, some will tell you that it was a terrifying experience and those people belong in the lodge. 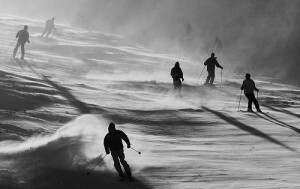 People want to go skiing with a group of friends, so that they’ll have a good time. The problem is that not everyone is at the same skill level, some may have been doing this for years, and some may be going up for the first time. It is tough for the avid skier or snowboarder because, they want to go hit the half pipe and the jumps. While the novice wants to stay on the bunny hill or maybe try some flat green runs. Regret of inviting a new skier sets in quickly and the group separates. One person is always stuck to babysit the new skier on the bunny hills where you see five-year-old kids doing better than the new skier. This can be a damper on your day, but no matter what skill level you can’t beat Colorado’s ski country. Sooner than the new skier is ready for it, the group wants to meet up and go down a easy, green run together. The new skier is still taking ten minutes to go down the bunny hill, with a good amount of spills. The green run looms ahead of the new skier, they feel confident that they can do this; after all, it’s just a green run. They go down the hill, starting out nice and slow, enjoying the wind tickling their face. Then they start going faster, it’s a little scary, not used to going this quick. Their heart starts pounding, the adrenaline starts pumping, and terror sets in. The novice tries to turn to slow down, it’s not working, they can only turn one way. The trees and the snow start flying by and there’s nothing that they forget how to stop, the trees get closer and bigger. The novice tries to scream, and puts their hands up, they close their eyes, and wake up on the ground between two trees. Their body is twisted, their knees ache from the awkward position and the weight of the skis pulling their legs down. They struggle to try and get the skis off with the poles; they want to scream because they feel trapped. They can’t even kick because the skis are stuck; the teacher comes and lets them out of their restraints. Knees, hips and thumbs throb as the novice crawls out from between the trees and sits on the side of the run. Gingerly removing the glove, a nasty purple bruise and abnormal bump emerge on the thumb. Soon a real ski instructor comes by and calls ski patrol to come pick up the poor novice. They suspect a concussion because they want to both be cautious and get paid. They strap the skier into the toboggan and race down to the clinic. 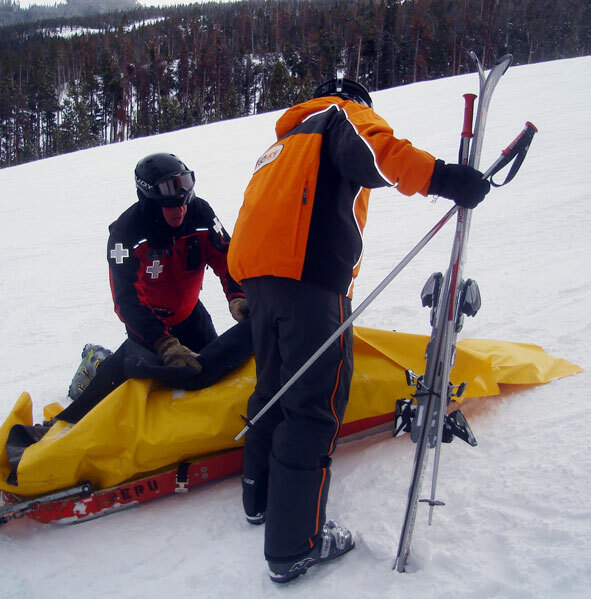 The ski patrol sets up the new skier nicknamed “crash” for the rest of the day in the clinic, with a blanket, an ice pack and a warm bag of IV fluids. Other patrons ask if she was going off of half pipes or on a black diamond trail. Sadly, the novice replies, “it’s my first time, and it was a green run.” With a new brace, an x-ray, and a $300 dollar medical bill in hand, the new skier is ready to go home after a few hours on the mountain. The rest of the group bites their tongue as they want to stay and get their money’s worth.